Every home may have an attic which we are leaving it with no proper use. While we can use it perfectly to maximize our home space and have extra room. When you are about to be a smart homeowner and use your attic properly, you need to consider many factors before decorating it. First you should measure the area and decide what are you going to use it as? If you would love to create an extra bedroom, bathroom, play room or even a living room. Then after deciding the room type, don’t forget to care about its related access, the stairs need to be in the best point to make the room entering is flexible and easy. Throw away the junk items inside your attic to prepare it for the renovation task. The next step, you have to take care of the ceiling which affects the room functionality and appearance. Then the most important things you should consider are the attic’s ventilation and insulation. These two elements will affect the way your room will look like; whether it will be comfortable or annoying place. The insulation is so critical to preserve the room from the bad climate, it is also considered as investment which will save your attic for a long time. There are different materials for the insulation you can pick the one suit you and the type of insulation will be decided according your country climate. Of course, after the insulation, you will need the adequate ventilation to keep the room healthy and cozy as well. The last step, you shall plan for the whole electrical system and light fixture, you need the lights to brighten up the overall area. Decide where you will get your items; remember you need the practical and elegant furniture which will fit the size and maximize its look. The paint should also be bright colors for all; the walls and the furniture with a wooden floor or choose your favorite floorings. The Attic renovation is not as difficult as you may think. But you need only good planning and creativity as well. 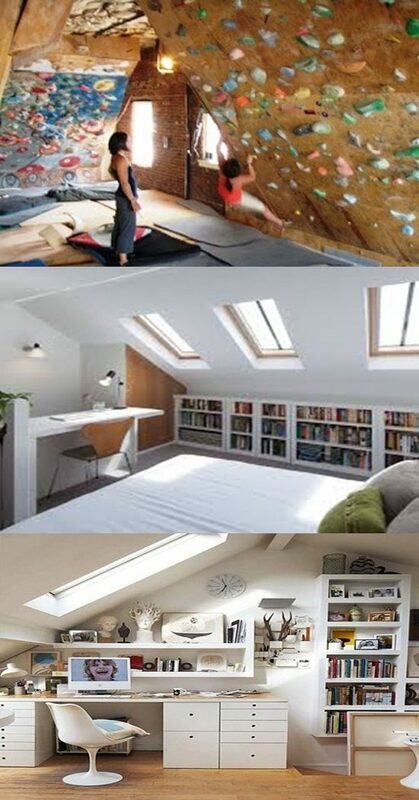 How to transform your attic into a nice master bedroom? How to be your own home interior designer! What is 6 * 9?